Removals and works must be arranged in advance with the resident caretaker. Monday to Friday from 8.00 a.m. until 5.00 p.m.
Saturday from 8.00 a.m. until 12.00 p.m. The side entrance door should be used to transport all large items into the goods lift. There are two passenger lifts and one goods lift in Sussex Heights. Only six people at a time should travel in the passenger lifts. The goods lift must be used for the transport of furniture, heavy goods and visiting pets. Residents and their guests are asked to respect the interiors by not smoking, dropping litter or otherwise abusing the fabric. When people live in close proximity it is necessary to set out rules to allow all residents to live together without undue disturbance. The Leases of all flats contain the same regulations that regulate the daily activities of all residents. You should keep a copy of your Lease and read it from time to time to remind yourself of the restrictions. If you do experience problems with noise or antisocial behaviour from tenants this ARMA Guidance Note might be useful to you. Please also contact our caretaker in the first instance, who will raise this issue with the managing agents. If you are a landlord, you should have supplied your tenant with a copy of the Lease that contains the regulations. All Tenancy Agreements must be recorded with the Company Secretary. Not only is this a specific requirements of the Leases, but such information is needed for fire and security purposes. Sussex Heights is a superior block of residential apartments for occupation by permanent residents. Short-term holiday or students lettings are not acceptable. Between the hours of 11pm and 7am there is to be no noise that can be heard outside the flat. The playing of loud music at any time, and particularly at night, is prohibited. No loud parties are permitted at any time. Throwing anything out of the windows or off balconies is prohibited. Shaking of dusters, mops etc. out of the windows or off balconies is prohibited. No calor gas or paraffin heaters or cookers are allowed. Children are not allowed to play in the corridors or the common parts of the building. 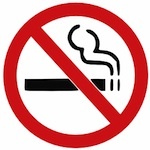 Smoking is strictly prohibited in the corridors or the common parts of the building. The above regulations will be strictly enforced to ensure that all residents may enjoy the benefits of living here. Sussex Heights has a security guard on Friday and Saturday evenings from 10pm to 6am. Sussex Heights has three entrances to the building: front door, B1 and B2. All the entrances are secured with a key. There is a full system of security video cameras operating on all entrances to the building (CCTV). This can be individually accessed via Analog Cable TV System (any channel can be used to tune into the security camera system). Main door entry system is controlled by intercom from each flat to allow residents' guests and visitors into foyer entrance. It is essential that residents do not allow anyone to enter the building unless they are known personally. Fire escapes are at the North and South sides of the building and these and common passages are protected by fire doors which must always be kept shut. No items of any kind to be left in corridors, stairways or communal areas. Flat front doors must be kept closed as a security precaution and to prevent noise and cooking smells from annoying your neighbours. Propping fire doors in communal areas and leaving them open is strictly prohibited. Fire doors are important because they fill the breach in a wall designed to contain a fire whilst allowing people to move easily through it. If the door is removed, wedged open or fails to close securely a fire can spread through the opening, compromise our fire prevention strategy and put lives at risk. In the event of fire within your flat you must vacate your flat immediately, shut the door and exit the building by the nearest exit and then call the fire service on 999. Do not waste time collecting personal possessions or valuables and do not return to the property. 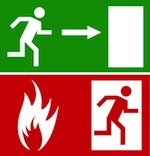 In the event of fire in the hallways, you must remain within the flat, shut the flat door and all doors within the flat. Open one window and be as near as possible to it in order to ensure you can get fresh air to breath in and wait to follow any instructions given by the fire service. Do not try to leave your flat until advised by the fire service that it is safe to do. In the event of fire in the hallways, do not attempt to use the lift.